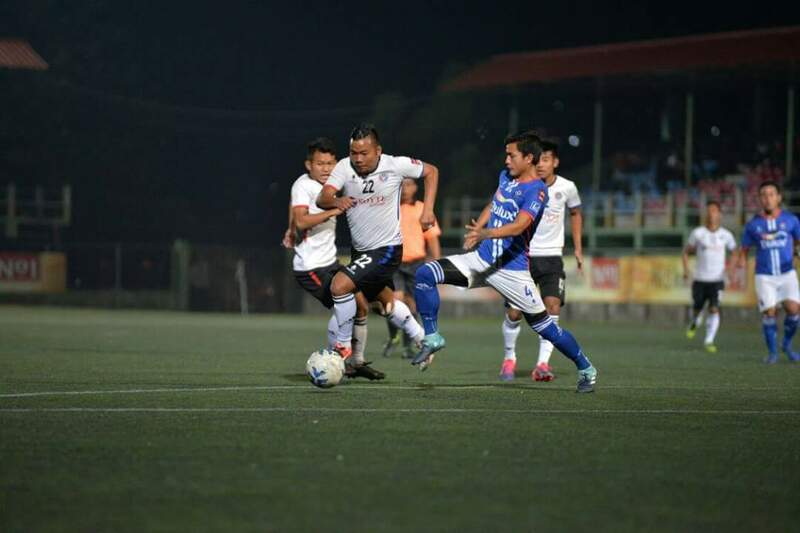 MPL5 champions Chanmari FC and MPL6 league leaders Chhinga Veng FC battled to a draw in leg one of the second semi-final of MPL6. A penalty from MC Malsawmzuala on the stroke of halftime gave Chanmari FC the lead but an own goal from midfielder Joseph gifted Chhinga Veng FC their equaliser. Chhinga Veng FC controlled proceedings early on as Malsawmfela and MS Dawngliana both came close to giving their side the lead. MC Malsawmzuala and Vanlalbiaa shone at the other end for Chanmari FC. They got their breakthrough when Vanlalbiaa won a penalty right before halftime, and MC Malsawmzuala duly dispatched the spot kick. Chhinga Veng FC were on top in the second half again with Laldampuia forcing a brilliant save from Chanmari FC goalkeeper Muanawma and MS Tluanga hitting the bar on the follow up. Malsawmfela and MS Dawngliana also spurned chances as their side looked for an equaliser. They got their goal in the 77th minute when Chanmari FC defender Joseph inadvertently put the ball in the back of his own net. Chanmari FC goalkeeper Muanawma was named man of the match.